Getting older does not mean that you have to stop traveling especially as festive seasons draw near. In fact, it is when you are older, you get to enjoy traveling more as a senior traveler because the knowledge you acquired during your lifetime lets you appreciate the new experiences that come with traveling. Besides, if not for traveling, why did you break a sweat by working so hard for all those years? However, being older means that you can no longer travel the way you used to. It means there are certain precautions that you have to take now since there are physical limitations that you may need to work around besides the fact that as a senior traveler you may run high target of thieves. Below are tips on how to stay safe as you travel. If you are under medication, it is important that you carry your medicine with you and keep up with your medical regime even when you travel. In addition to your medications, there are other medications that senior citizens are advised to take for easy traveling. These include medications for malaria, altitude illness or traveler’s diarrhea. As an older person, you are likely to have a stomach that is very sensitive or you may be on a restricted diet. It is understandable that you may be tempted to forget about these facts while you are away from home, however, doing so could have unwanted side effects. Unless you want to spend more time in your hotel room instead of spending it out and about, you should keep the spicy, heavy and cheesy foods to a minimum. Besides, as an elderly person, there are certain foods that you should avoid. These include raw or undercooked meat, poultry or eggs, caffeine, soda, and other sugary drinks or alcoholic beverages. This is because of the many health challenges that senior citizens face. One of the great things about being older is being able to afford things that you could not afford while you were younger. These things include items such as gold watches, fancy cameras, and nice jewelry. 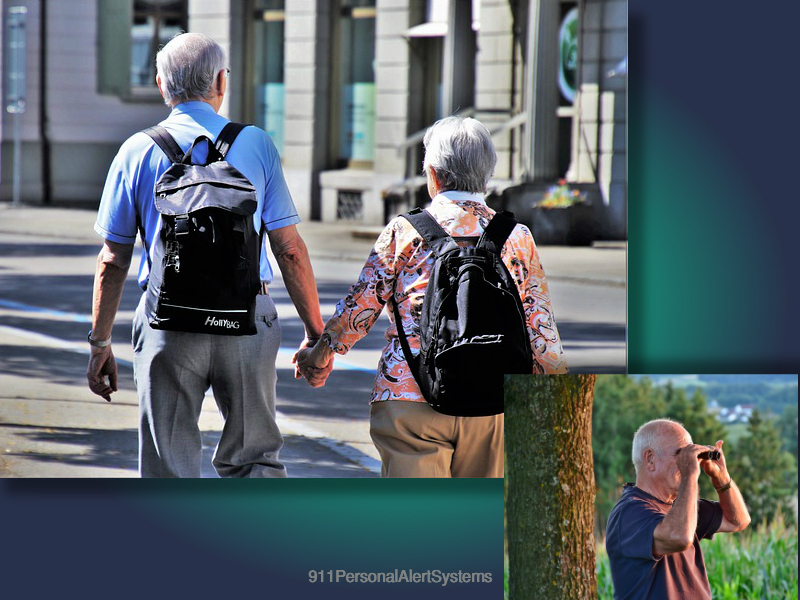 However, carrying these items makes you a target for thieves especially considering the fact that many people are of the idea that old people are less aware of their surroundings, less steady on their feet and all-round easy targets. This also applies to carry cash. Keep in mind that a smartphone or a small compact camera can take nice photos nowadays. Just like any other vacation, preparation and personal safety are very important when you are planning to travel. Make sure that your chosen destination is the right one for you and also plan ahead for your needs as a senior traveler, so you get to relax and enjoy your trip once you arrive there. Most importantly stay safe with safe personal alarm systems where possible.